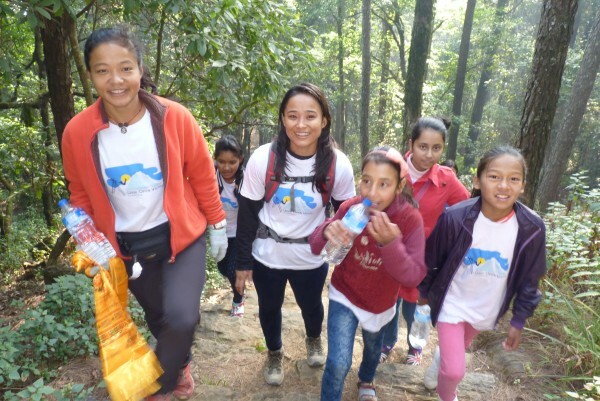 #TeamWOV #Nepal would like to thank Mira Rai for joining our WOV girls team for a hike to Jamacho Gumba, Shivapuri on 19th of December 2015. 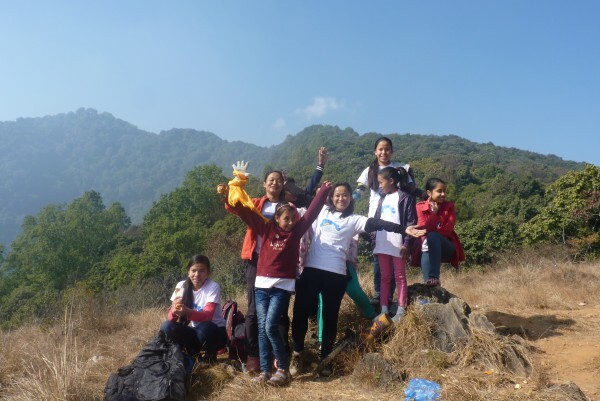 Getting a help from Sunayana Lama our WOV staff, Sonam Shah managed to take and bring the girls from Budhanilkantha to Nagarjun and back. Our girls barely knew Mira before that day, although Maiti had seen her in a TV interview once. We met Mira on the entrance gate of the Shivapuri National Park, Nagarjun. The girls were happy and inspired to know about her from Mira, herself – who was very friendly and down to earth. 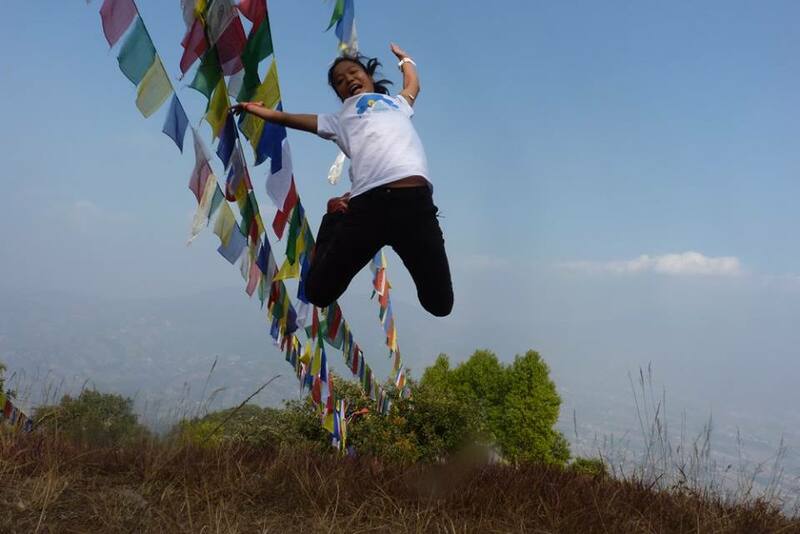 We climbed the stairs listening to the story of a simple village girl to an outstanding ultra trail runner/ winner. 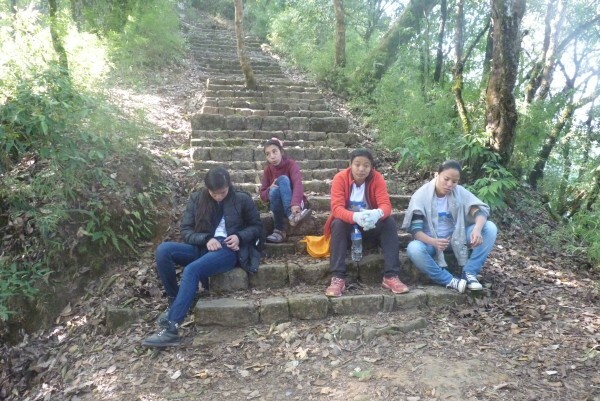 We had a lot of breaks before we reached the top. But, all the girls were a bit tired as it was 5 km all the way up. So, they ate and rested. While doing so, Kelsang managed to do some of her Math homework. After a lot of fun, rest, food and photo-shoots, Mira left us as she had other plans as well that day. 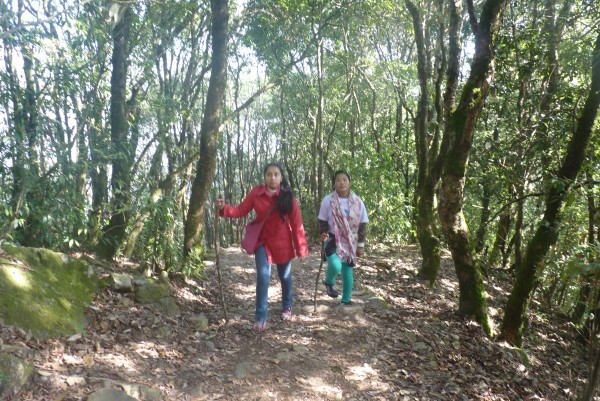 We slowly walked down the way we had come and finally the adventure was over when we reached back to Budhanilkantha. As all were hungry already, we had some mo:mos. After that we waved goodbye. WOV girls with Mira at the entrance of Shivapuri. Muffin time to fuel up the girls. We still have to reach that top hill. Waiting for the rest for more stairs. Enjoying some food after a big climb. 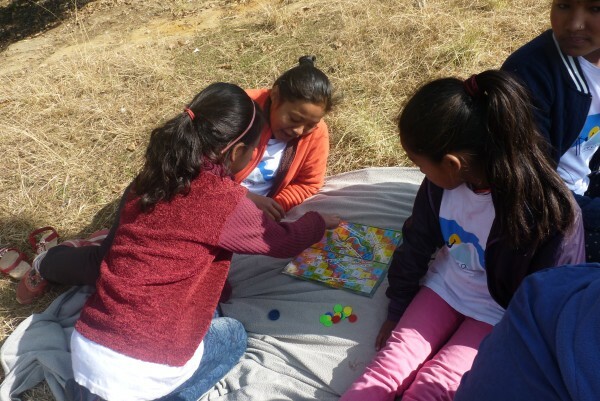 Sampriti, Mira and Isha playing game. 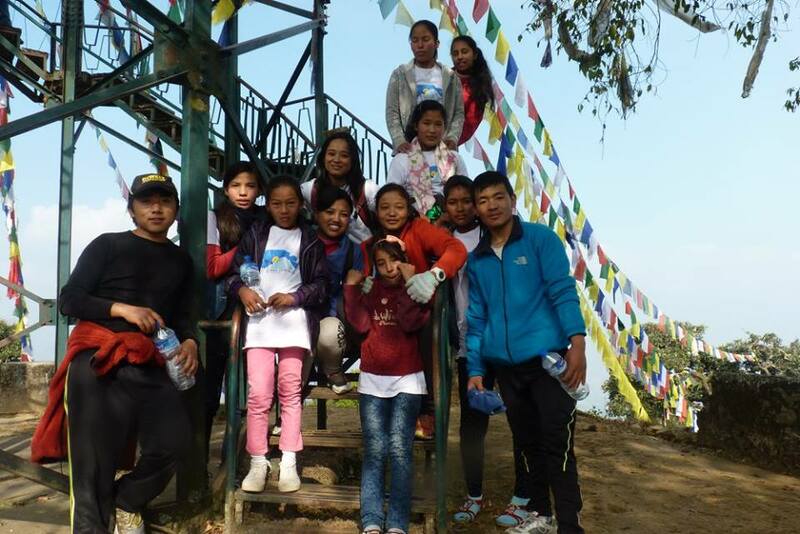 Group picture with Mira, WOV girls and some other Nepali runners.